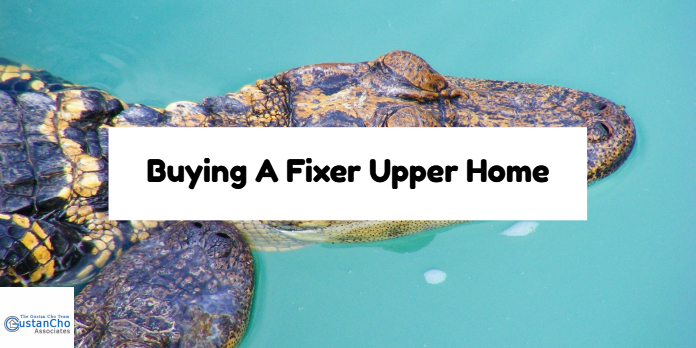 If you are a home buyer that want to buy a fixer upper, you are in luck. Many home buyers will have a hard time purchasing a home and coming up with the money to do the rehab after they purchase the home. Most banks and home loan lenders do not lend on construction or rehab loans to homeowners after the 2008 real estate and credit collapse and most home buyers do not have enough equity in their homes after their home purchase to get a second mortgage or home equity line of credit. If you are a home buyer who want to purchase fixer upper, HUD has the FHA 203k Loan where you get the acquisition loan of the home purchase plus the construction funds to do the rehab on your home all in one loan. FHA 203 Loans are available in all 50 states and only require 3.5% down payment of the after improved value of your home. FHA 203k Loans are only available for owner occupied one to 4 unit homes. There are two types of FHA 203k Loans. The first and most common type of FHA 203k Loan is the FHA 203k Streamline Loan where the maximum rehab budget is capped at $35,000. FHA 203k Streamline loans limit the type of rehab you can do on your home. There cannot be any structural changes done to your home. For example, you cannot do a room addition, second story addition, or make changes to the structure of your existing home. However, you can do cosmetic repairs such as kitchen remodeling, bathroom remodeling, finish your basement, finish your attic, repair and/or replace mechanicals such as electrical, plumbing, and HVAC systems, do new roof, new siding, replace windows, doors, millwork, flooring, and other cosmetic projects in your home. The other type of FHA 203k Loan is the standard FHA 203k Loan which there is no limit on the amount and cost of the project as long as after completion of the construction the home value appraises out. You can do room additions as well as structural changes with a standard FHA 203k Loan. You cannot do a cash-out FHA 203k Loan. You cannot be your own general contractor on a FHA 203k Loan either and need to hire a general contractor who will be in charge of sub-contractors. There still is many foreclosures and REOs, bank owned properties, that is on the market but home buyers cannot qualify to purchase them because many times, foreclosures will not pass the appraisal inspection because of non functional items like HVAC systems and repairs being required. Many home buyers can purchase a fixer upper and rehab or customize the home to their standards. FHA 203k Loans enable home buyers willing to purchase fixer uppers and remodel the home to their specs and needs. Many times, a home buyer can purchase foreclosures or REO properties at bargain prices and do a complete gut rehab to the property and have a totally refurbished home. Mortgage rates on FHA 203k Loans are slightly higher than standard FHA insured home purchase mortgage loans. FHA 203k Loan mortgage rates are around 0.50% higher than regular FHA insured mortgage rates. Home buyers can always refinance after completion of the work to a lower rate FHA loan or conventional loan. Another negative with FHA 203k Loans is that it requires longer to close and involves a lot more paperwork than regular home purchase mortgage loans and closing costs are higher. However, the negatives and the extra work in processing a FHA 203k Loan is well worth it because you get an acquisition home loan as well as a construction loan all in one loan and at the end of the day, you have an almost brand new home.